Teen Mom 2 is a spinoff of 16 and Pregnant season 2.It stars four young mothers: Chelsea, Jenelle, Kailyn and Leah. The show documents the ups and downs of their adjusted lives as new teen mothers trying to balance school, friends, their children, and romantic relationships. 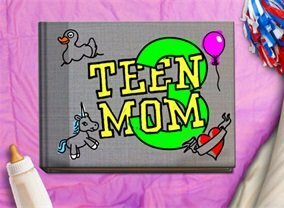 Which TV Series would you suggest to people who enjoy Teen Mom 2?